Big Brothers Big Sisters of Cape Cod & the Islands is a division of BBBS Mass Bay. We’ve come together to ensure that more children can gain a mentor when they want one. We’re here to make sure our children thrive. 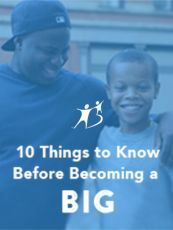 The mission of Big Brothers Big Sisters of Cape Cod and the Islands is to partner with under-resourced families to provide their children with transformational, one-to-one professionally-supported relationships with caring adult mentors, so that their children will thrive. We want youth to achieve their full potential, which only contributes to healthier families, better schools, brighter futures and stronger communities. Our Cape & Islands program is led by our Regional Director, JR Mell, a two-time Big Brother and lifelong resident of Cape Cod. In 1974 an informal group of volunteers began serving as mentors to six disadvantaged youth on Cape Cod. Soon after, the group was formally organized as Big Brothers Big Sisters of Cape Cod & the Islands. The program was founded due to the large population of at-risk children- particularly those living in single-parent homes on Cape Cod and Martha’s Vineyard. 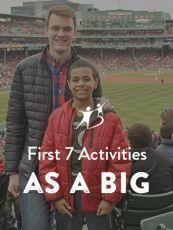 In 2006, Big Brothers Big Sisters of Cape Cod & the Islands merged with Boston-based Big Brothers Big Sister of Massachusetts Bay to improve organizational sustainability and increase capacity to serve children. Based in Hyannis, MA we are currently the only one-to-one youth mentoring agency on Cape Cod. Big Brothers Big Sisters of Cape Cod & the Islands has developed a long-term, sustainable growth plan that will double the number of kids we serve over the next five years. With the help of Cape Air, our plan is to meet the demand for our programs and double the number of kids we serve over the next five years. 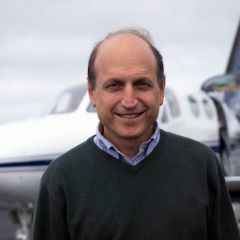 – Cape Air’s CEO, State Senator Dan Wolf leads the call to the community for Big Brothers Big Sisters of Cape Cod & the Islands.